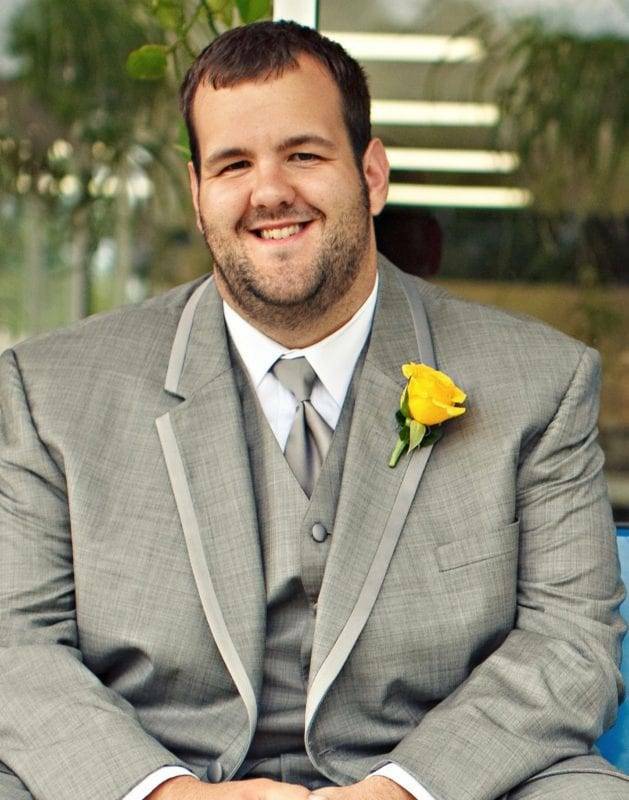 Timothy Joseph “TeeJay” Rupp, age 30, of Wauseon passed away Saturday April 8, 2017 from injuries sustained in an auto accident. He had served as the Athletic Director for the Evergreen Schools for the last five years. Prior to working at Evergreen, TeeJay worked as Assistant Athletic Director at Rossford for one year. He also worked as Assistant Athletic Director at Wauseon for one year but volunteered and dedicated his time and talents within the Wauseon Athletic Department for over eight years during his high school and college careers. TeeJay was born on February 25, 1987 in Wauseon to Jerry and Vanessa (Wise) Rupp. On June 10, 2011 he married Sarah Smith and she survives. He was a member of the First Christian Church in Wauseon. He graduated from Wauseon High School in 2005 and from Bowling Green State University in 2009 with a Bachelor of Science in Education degree in sport management. TeeJay lived his life as a caring, compassionate, and all around great guy. He was an outstanding husband and father and an extremely hard worker. He was dedicated to his wife, son, and unborn child and wanted nothing but to make sure they had everything they’d ever wanted. He loved playing with his son Brantley, watching and following the Cleveland Indians and Cleveland Browns, and watching movies. TeeJay was hilarious. He loved to make people laugh and told great stories. Surviving besides his wife Sarah, is son Brantley. He and Sarah are expecting their second child in May. Also surviving is father Jerry Rupp of Wauseon, mother, Vanessa Bradner of Wauseon, grandmother, Joann Wise of Wauseon, sister Rachel (Matt) Battaglia of Ocoee, FL, father-in-law and mother-in-law, Bruce and Mary Smith of Wauseon, brother-in-law, Alex Smith, 1 niece, 1 nephew and many aunts, uncles and cousins. Funeral services will be held at 2:00pm Thursday April 13 in the gymnasium of the Wauseon High School. Interment will follow in the Wauseon Union Cemetery. Friends may visit with the family on Thursday from 10:00am until service time in the gym. In honor of TeeJay, dress is casual; Athletic shorts and t-shirts are very much welcomed. Memorial contributions may be made to the benevolence of the family for TeeJay and Sarah’s children. Online condolences may be made to the family at www.GrisierFH.com. The Edgar Grisier Funeral Home in Wauseon has been entrusted with arrangements. © 2017, The Village Reporter and/or The Associated Press. All rights reserved. Be the first to comment on "Timothy “TeeJay” Rupp (1987 – 2017)"